The County Board minutes of 19 February were considered. 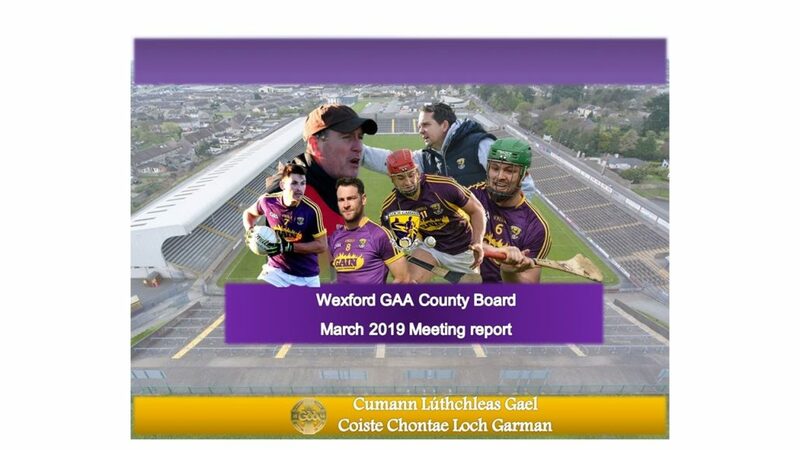 The Cathaoirleach acknowledged the very positive feedback from Wexford’s hosting of the GAA Congress and thanked all the volunteers who had been so helpful. He also noted, in the context of February’s discussion on the leagues, that a request had been received for the late addition to a team to the competition; he will discuss this with CCC tomorrow. Joe Sheehan provided an update on the Model County draw and encouraged all clubs to promote this as 70% of every ticket sold after the first 80 will go back to the selling club. The Coiste Bainistíochta minutes of 12 March were also considered. Referring to the written letter received from Liam Fardy, the Cathaoirleach welcomed any constructive criticism but emphasised that it was important to adhere to normal GAA communication channels, i.e. Club Secretary correspondence or meetings of the County Board. The Leas-Chathaoirleach explained that the Football Advisory Committee (FAC), which is now under the chairmanship of Noel Holohan, had met 3 times this year and had a very productive meeting last week with Brian Cuthbert, former Cork manager, who has completed a Ph.D. on talent development and identification. It is disappointing that a member of the FAC saw fit to put confidential information out into the local media especially at a time when it is proving challenging to find volunteers willing to work with county underage football squads. A delegate expressed grave disappointment at such a breach of confidence and said that, in his opinion, the FAC member should consider his position. With regard to the proposal to run inter-District competitions, Enniscorthy District has already indicated it won’t be entering a team and Wexford District has now confirmed that it too won’t be in a position to enter a team in 2019. Joe Sheehan, Wexford District Secretary, explained that the District already ran an extensive junior B programme and it considered that the competition proposal required further thought. The Cathaoirleach said that the Coiste Bainistíochta would further consider the matter and that, at the least, we now have a clearer understanding of the key issues to address if such a competition is to be run. The CCC’s Under 20 amalgamation proposals were noted and approved; grading for U20 competitions will be done next week. The Coaching Officer gave an update on developments in the Coaching Office, starting with the departure of Diarmuid Byrne who has taken up the offer of a coaching post in County Meath for family reasons. Diarmuid will be a big loss to Wexford GAA but is wished the best of luck in his new role after 4 years with us. In the time that he coordinated our Cúl Camps, numbers attending have almost trebled and he has also made good progress in promoting Go Games. Diarmuid’s duties will now be shared between Aoife Murphy, GPO, and Marion Doyle. A new GPO, Lloyd Colfer, is taking up duties now and we will be advertising for two more to start in May or September with lots of clubs interested in taking these new coaches on. The longstanding issue of the playing condition of the Innovate Wexford Park pitch is to be addressed in April, which means that the ground will be closed for the month. The head groundskeeper in Croke Park, Stuart Wilson, has provided advice and it is hoped that some re-seeding and topsoil work to focus on drainage will improve matters greatly. It is likely that a further period of work will be required in the subsequent 18 months although no decision has been taken on the timing of that as yet. The Cathaoirleach outlined that he had had discussions with senior football manager Paul McLoughlin regarding the strengthening of his group of selectors. Subsequent to that, Paul has approached Colin Kelly, former Louth senior football manager, who has agreed to become involved as a selector with the Wexford team, subject to ratification at tonight’s meeting. The appointment was welcomed and approved. Wexford Bus have submitted a proposal to become the bus partner of Wexford GAA and, as part of the partnership agreement, they will wrap one of their coaches on the Wexford-Dublin route in Wexford GAA livery. Given the long-standing relationship we have had with Ardcavan Coaches, that company was afforded the opportunity to also submit a partnership proposal. As no other proposal was received the Coiste Bainistíochta has decided to accept the Wexford Bus offer. Ray Murphy, Wexford Fire Officer, explained that the Council wishes to strengthen community resilience, particularly during severe weather events. The GAA and the Irish Farmers’ Association are its two main partners in this initiative due to how well embedded the organisations are in local communities. The initiative seeks to improve coordination between local voluntary effort, community groups and the county’s emergency services on a parish basis over the whole county. It is seeking 2-3 contact names for each GAA Club to assist on this. It was also noted that the Council offers a free fire alarm service to households in the county and also offers short (40 minute) fire safety talks to community groups. Clubs were asked to advertise these opportunities and to revert, by the next County Board meeting, with a couple of contact points. This training is now fixed for next Monday in the Ferns COE; nearly 30 applications were received but, as only 18 spaces can be offered on any one course, the c. 10 new childrens’ officers will be prioritised. This will take place on Friday 5 April (7-9pm) and Saturday (10am-1pm) in Glynn-Barntown club. While it is pleasing that new volunteers have come forward, more are still needed. This will take place on 10 April in a venue yet to be confirmed. Quite a number of clubs have yet to supply the name / details of their Health and Wellbeing officer and were asked to address this as soon as possible. 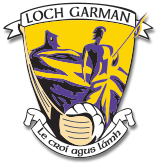 The annual Cairde Loch Garman GAA fundraising event will take place in Rosslare Club Golf at a cost of €250 per team (with full meal and great prizes included). Clubs were asked to encourage their members to enter teams and it was suggested that clubs might pay half the entry fee for a club team. Delegates were also asked to spread the word that tee sponsors, at a cost of just €50 per tee, were being sought. A very generous donation of €75,000 from the McCauley group has enabled Wexford GAA to launch its Wellness initiative which has received very positive national coverage as the first such initiative at the county level by a sports body. The Week will begin on Monday 6 May with a Family Fun 5k run / walk in Wexford Town; while there will be a modest entry fee this is not a GAA fundraiser and any funds raised will go to charity. On Tuesday, a seminar on positive ageing will be held and there will be various other talks on mental health and wellbeing in a number of clubs. 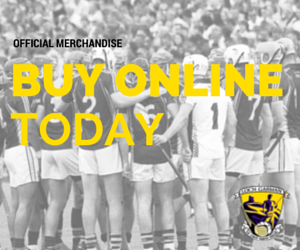 On the Friday, a team of key speakers including Oisin McConville, Mags D’Arcy and Davy Fitzgerald will visit two schools in the county for a Q&A session. On the Sunday, in conjunction with the Leinster championship football match against Louth in Innovate Wexford Park, a family fun day will be held and full details of the entire week’s schedule will issue to clubs next week. Clubs are also asked to organise a “Lá na gClub” on the Monday of the 5k event and it was noted that a €300 grant is available from the County Council as part of “the Big Hello” initiative. The cost of this Cairde Loch Garman event will be €80 per person including the meal which is a lot cheaper than last year’s event in Punchestown so it is hoped that the maximum capacity of 500 people for the event marquee will be met. Tony Dempsey, Central Council delegate, noted that league finances are down by 10% compared to 2018. He also noted that the ban on collective training in April / May has been relaxed as long as the intercountry players play April club championship matches. Following on from Congress, it was confirmed that Central Council may now consider applications from other sports’ National Governing Bodies for the use of Croke Park or county grounds when such an application is considered to be in the broad interests of the Association. A delegate expressed concern that the county senior hurlers are still reportedly training twice this week as Clubs prepare for their football championship. The Cathaoirleach said he had raised this with team management who have advised him that one session is recovery only and the other is a light workout. Another delegate asked whether there were any plans in place to improve the quality of the PA system in Innovate Wexford Park. The Cathaoirleach advised that it was planned to improve the quality of the wiring in the coming weeks in conjunction with other scheduled minor works. The recent increase in the public liability levy on clubs was raised and it was explained that a large portion of the recent increase in claims seems to stem from non-core GAA activities. This is a matter of concern for all clubs. A meeting to discuss plans to mark the 50th anniversary of Scór, and plans for the new Scór na bPáistí competition, will take place on Tuesday 2 April in the Ferrycarrig Hotel at 7.30pm. All clubs are asked to send a delegate, whether their Irish officer or not, as this is an important anniversary for Scór.